Women, young workers and part-time employees at the highest risk. 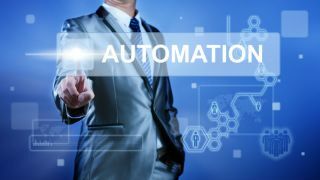 Whether or not automation will replace humans in the workforce is a highly divisive topic, and the newest research suggests that some people may, in fact, be at risk of losing their jobs to a robot or software. The research comes courtesy of the Office for National Statistics (ONS), which has found that highly repetitive and routine tasks, such as being a waiter or shelf filler, could very easily be replaced by a machine. The research analysed 20 million people in the UK in 2017, and says that 7.4 per cent of people, mostly women, are in danger of losing their jobs to a robot. Besides women, part-time workers and the younger members of the workforce are also in danger. On the other end of the spectrum are jobs that are unlikely to be replaced by a bot any time soon – teachers and medical practitioners. The ONS also said that automation will have a major effect, not just on the job market, but on the economy and society as a whole. Apparently, there are fewer jobs at risk now than there were eight years ago, but the proportion of jobs at low and medium risk of automation is on the rise.